There’s a lot to think about on the day you graduate, and as you’ve worked so hard to get to this cap-and-gown moment, it’s always best to be prepared so you can relax and have fun on the day! 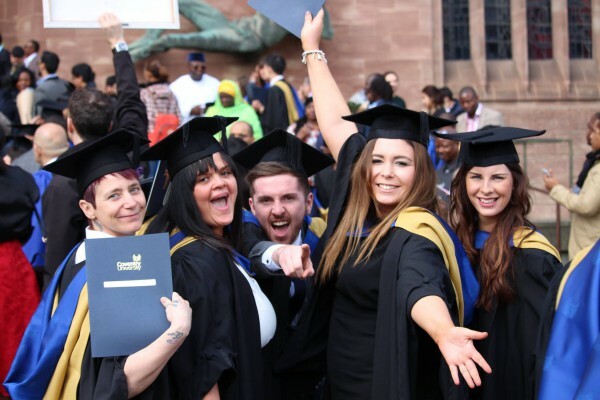 We’ve put together a little checklist for you to help you keep on top of everything you might want to do – but then you are a Coventry University graduate so we wouldn’t expect anything less! Figured out how you’re getting to the ceremony yet? Find the best way to travel to Coventry for you, as there’s loads of local travel links and there will be lots of parking around the city on the day. No matter how you’re getting to Coventry, you need to be able to answer the question: “What time do we need to be there?” You don’t want to be late to your own party! So check and check again the graduation schedule for your ceremony, so you know when you need to collect your tickets and what time you can get into the Cathedral. Your dress code for the day is: Fabulous! You’ll be dressed for the occasion in your black, blue and gold gowns – but how will you be accessorising yours? You might want to wear a matching tie or nail varnish, or throw in a splash of contrast with a colourful shirt or dress. Remember you’ll be on your feet for a lot of the day – and you’ll probably be dancing for joy – so make sure you’ve got some comfy footwear prepared. Even if you want to wear heels, we’d suggest leaving the stilettos for your after-party and wearing whatever allows you to strut your stuff in the Cathedral. 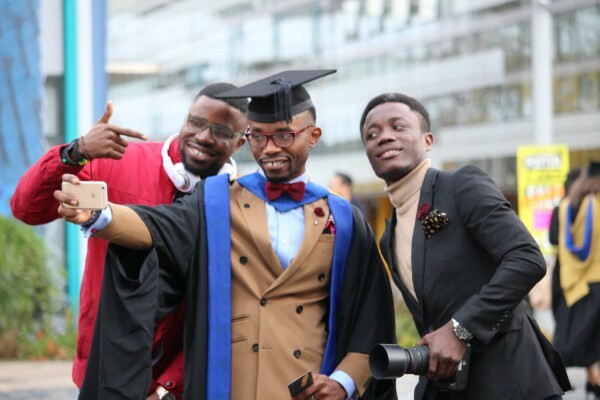 Your name has been called and you’re walking to the front of the Cathedral, eyes are on you as you shake hands and then as you turn to walk back to your seats – as a Coventry University graduate, may we add – how do you acknowledge your fans? Time to get practicing your beaming grin, wave to give the Queen a run for her money and maybe even a fist pump. Whoever you’re bringing along – parents, siblings, significant others – they need to play their part too! They act as unofficial photographers on the day, and are expected to write gushing Facebook posts about your achievements. You’ll want to make sure mum has got plenty of tissues, dad doesn’t wear that shirt and your friends are ready to party! On the day, you’ll get your hands on your degree certificate (finally!) and a copy of the brochure from your ceremony. … Or you could use the bag we’ll be giving you! After you’ve left the ceremony, make sure you collect your goodie bag from our Alumni team, who are there for you to chat to on the day. You’ll be able to get your hands on your very own Coventry University Class of 2016 badge – Oooo Ahhh! There will be official photography happening on the day by Ede Ravenscroft, so your photo can proudly sit alongside your scroll. We all love a selfie so we challenge you to try and take as many as you can in your favourite campus locations and not forgetting the Cathedral itself. 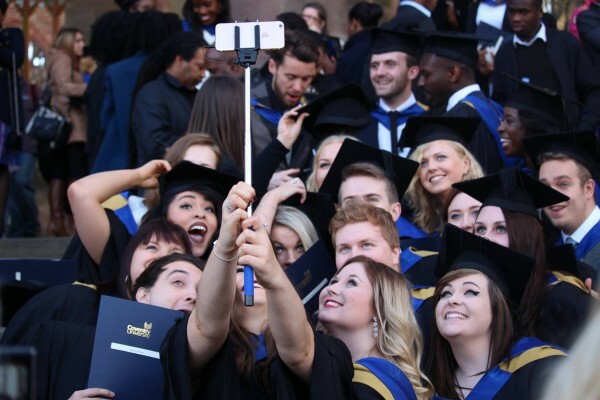 If you post anything on social, make sure you use #CovGraduation so we can see how much fun you’re having.! Get all your friends together on the Cathedral steps, outside the Hub, or even with Alan Berry in the background to create your own memory. Planning on going out for a celebration meal after your ceremony? Remember there are lots of people graduating on the same day so you’ll want to make sure you can book a table. Degree = completed! But what is your next goal? You can travel the world, go further with postgraduate education at Coventry, chat to our careers team, and so much more! You started your journey at Coventry and now it’s time for you to enjoy your day and decide your next steps! Share you memories on the day with us on social using #CovGraduation. 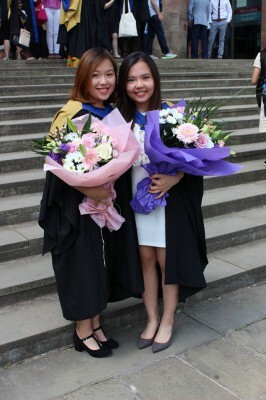 #Trending, Events, International, Mature Students, plus, Postgrad, Undergrad, Why Cov Uni?